Yesterday I showed you Lisa Storm's DIY New Year's Eve Decorations from last year and after a little looking I found the New Year's Eve Celebration for 2012. My favorite is the curly garland that she made with punched strips of paper. The garland looks like streamers suspended in the air. It is perfect for New Year's and would be fun for a birthday celebration too. 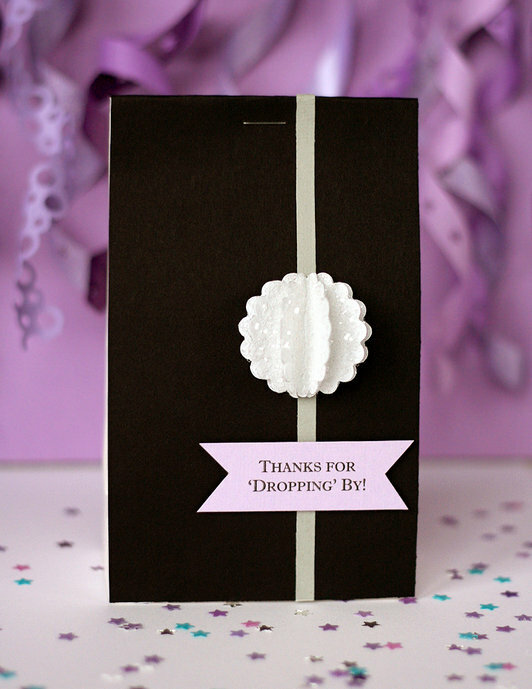 I also love the ball drop party favors she made. Thanks for 'dropping' by. That Lisa! Talented AND punny! 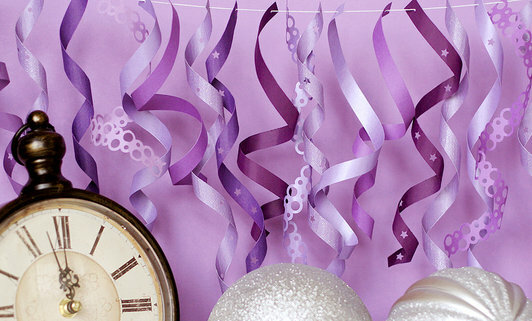 You can see the rest of her 2012 New Year's Eve ideas over at Fiskars.